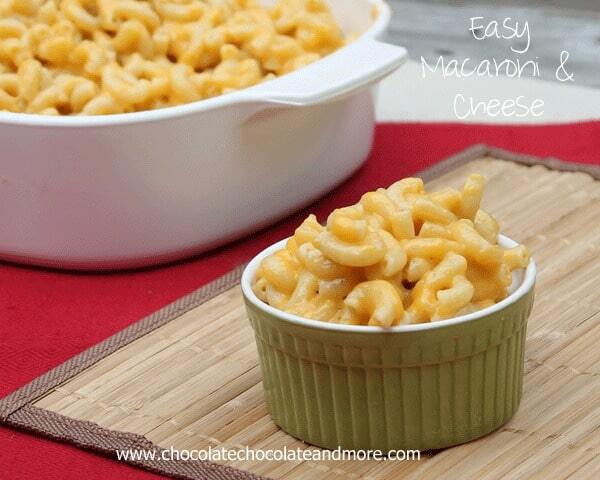 Easy Macaroni and Cheese - Chocolate Chocolate and More! 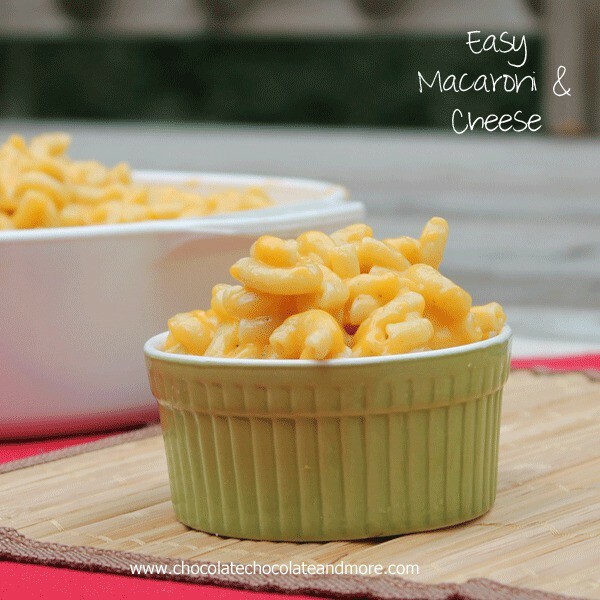 Easy Macaroni and Cheese-Never buy the box stuff again! I grew up on the boxed macaroni and Cheese. My mom didn’t/couldn’t/should’t cook. We’ll say she was a single mom working full time and raising two girls as her excuse. The truth-she was a horrible cook. I mean really bad. My sister and I looked forward to the bad TV dinners that were so popular in the day because they were better than what might end up on the table if we didn’t have that frozen dinner. It was also the time of all the “new” easy, dinner in a box products started coming out. I can’t even remember a time without the boxed macaroni and cheese. It was probably one of the first things I ever learned to make on my own. 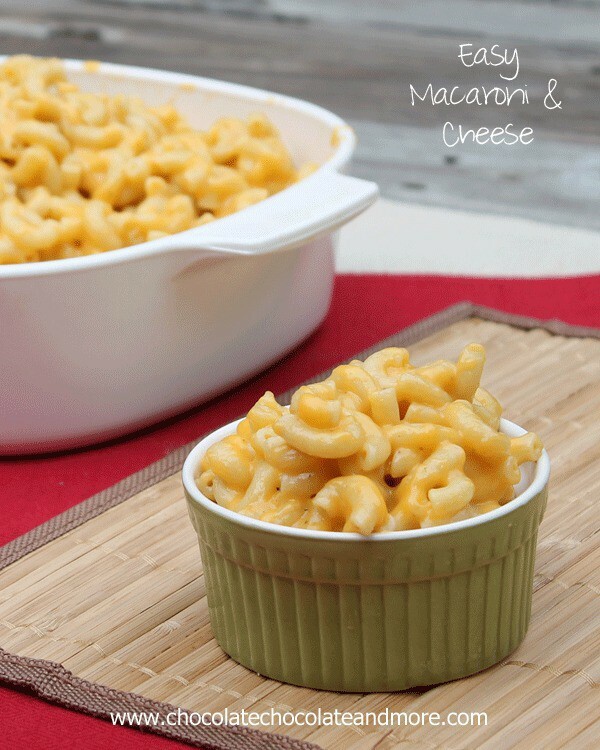 It wasn’t until I was an adult that I had homemade Macaroni and cheese. OMG! I had no idea what I’d been missing. The creaminess, the taste of REAL cheese. Even the bigger pasta. At potlucks, I would drool over huge dishes of the cheesy pasta. Never even considering that making it myself would be so easy. Cook Macaroni according to package directions to al dente stage. Drain and set aside. Do not rinse. In the same pot, melt butter and whisk in flour until a smooth paste forms. Slowly add in milk making sure to blend butter paste completely with milk before adding more. Once milk and butter are fully incorporated, add in cheese, salt and pepper. Continue to whisk until cheese is completely melted. Add cooked macaroni and toss to coat. 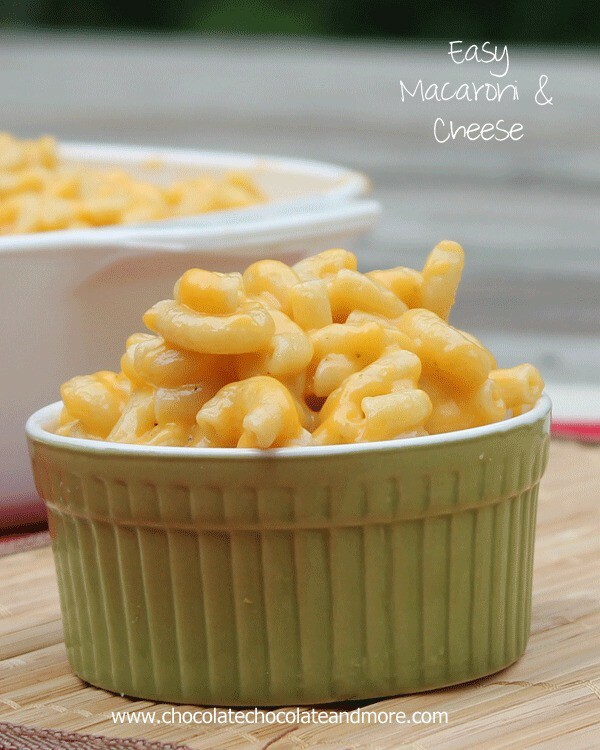 This mac n cheese looks so classic and simple and yummmmyyyyyy! 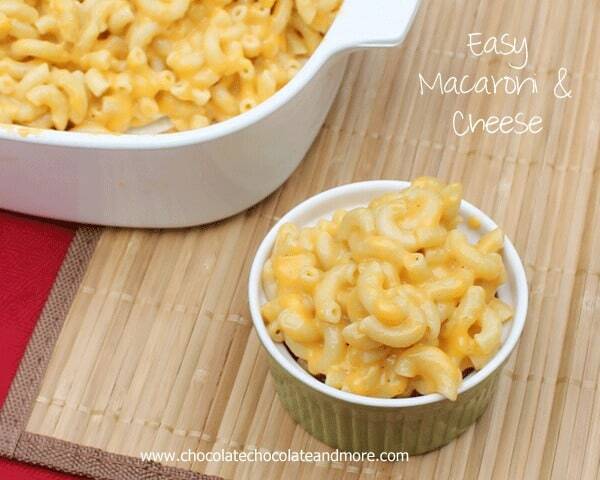 Mac and cheese is my favorite. It’s not unusual for me to get up early on a Saturday morning and have it for breakfast. I know. Kinda odd. But it’s just me and my mac and cheese. This looks great though…I might have to mix it up a bit and try something out of the box! I just made this recipe and it is so good. I’ve managed to mess up macaroni and cheese a few times before trying your recipe, and this is the first one that turned out. Thanks so much!